Welcome – this service is dedicated to the topic of sleep and dreams. Globally, we’ve been talking about dreams for thousands of years, although science has really only just started to scratch the surface. So what do we really know about them? I’m Delphi Ellis, a qualified therapist, mental health trainer and mindfulness practitioner – sometimes known as The Dreams Lady™. I’ve worked professionally with dreams for over a decade and offer this dedicated resource as part of the Helping You Sparkle™ portfolio. The focus on this website, and in the services provided, is not on one particular theory, although you may have heard of many. Instead, I approach dreams and sleep through an integrated approach of exploration – you know yourself best. I offer personalised dream interpretation by email as well as resources focused on how to recall and record your dreams, including top tips for healthier sleep. (Better sleep may actually improve your dream recall and content). Above all, I put you as the dreamer at the centre of it all. You might find your common and recurring dream here. Dreams are a unique code given to you, so ultimately only you can decide what your dream means. If you have a dream you can’t make sense of that’s not covered by this website, you might like to try a professional dream interpretation by email. Find out more here. Please read the “important stuff” about this website before leaving a comment or question. Thank you. I am a qualified therapist and trainer, promoting positive mental health. I specialise in suggesting effective strategies for rest and relaxation; this includes offering ethical dream interpretation and promoting healthy sleep. I have appeared as the Dream Expert and Dream Analyst for ITV’s This Morning and presented the guide to sleep on Daybreak – you can read more about my qualifications and experience below or here. My career includes an extensive TV and media profile; details of this are below. 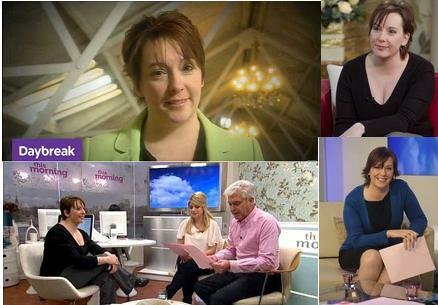 This involved regular appearances on ITV’s This Morning and presenting the Guide to Sleep on Daybreak. I have also featured in Spirit & Destiny, Pregnancy and Birth and Natural Health magazines and featured on radio programmes including BBC 2’s weekend/bank holiday extravaganzas with Aled Jones. You can also follow me at the Helping You Sparkle ™ Facebook page for all things motivational. Please read the important information at the bottom of this page. Thank you. ← Dream Question: What does my dream about lifts mean?